The latest addition to the Logitech accessory line has been announced. 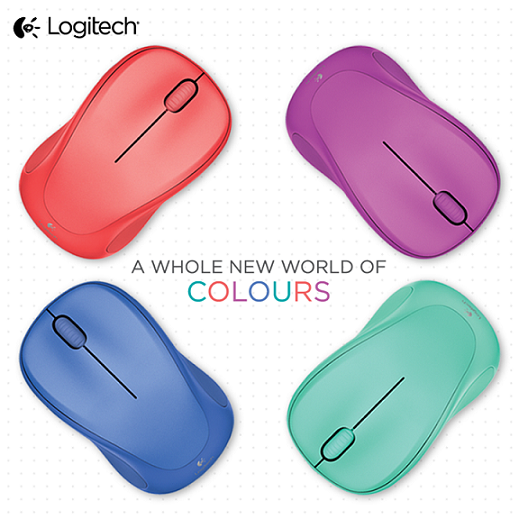 Instead of the traditional monochromatic colours that we have come to be familiar with, this time Logitech has taken on a dynamically colourful approach. Logitech has taken on a ”fashion forward” approach to its 2014 collection of accessories, ranging from mice, speakers and even protective cases for the iPad. The new M235 mouse, x100 Mobile Speakers and Folio Protective Case for the iPad Air are now available in new cheerful colourways. Users are now able to find ways of expressing their own personal style through the dynamic range of colours. Logitech Country Manager of Malaysia, KP Sim claims that Logitech aims to be the world leader in products that connects and enhances people’s digital experiences. By incorporating the fashion aspect into its products through the vibrancy of colours, they are able to project an individual’s personal style and personality without ever compromising on practicality. Retailing at RM59, the wireless M235 mouse comes in a choice of four vibrant colours, while the X100 Mobile Speakers – which is priced at RM169 – comes in four two-toned colour options. Finally, the Folio Protective Case costs RM159 with three choices of colours to encase your iPad Air. These new models are already available in Logitech stores and retailers nationwide. For more information about Logitech’s latest products, head on to the company’s official website, www.logitech.com.my.